TechnoPrimitive » Avast Me Harties! It be Talk Like A Pirate Day! Avast Me Harties! 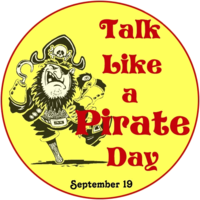 It be Talk Like A Pirate Day!